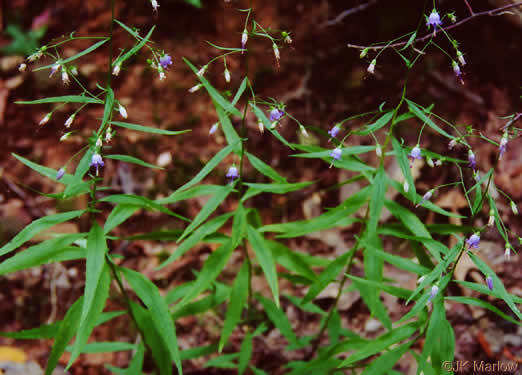 Calyx lobes linear to linear-lanceolate, ascending, per Vascular Flora of the Carolinas. 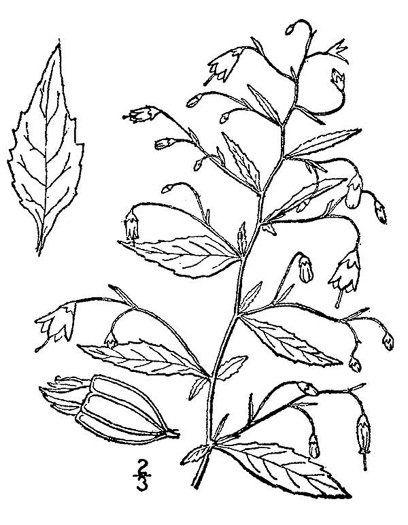 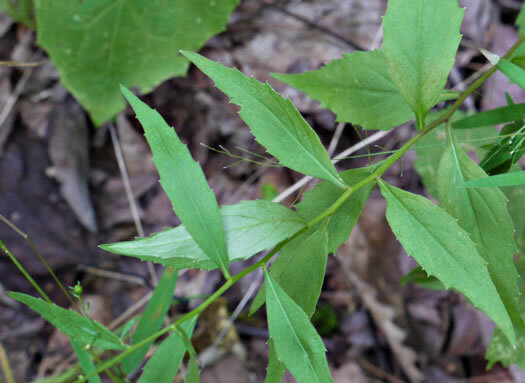 Leaves linear-lanceolate, margins coarsely toothed, per Wildflowers of Tennessee, the Ohio Valley, and the Southern Appalachians. 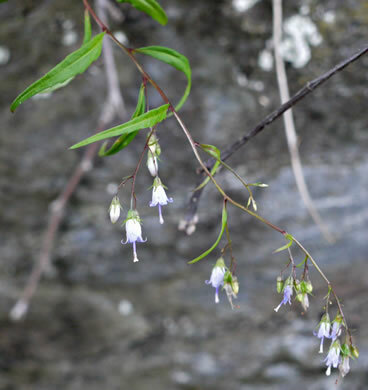 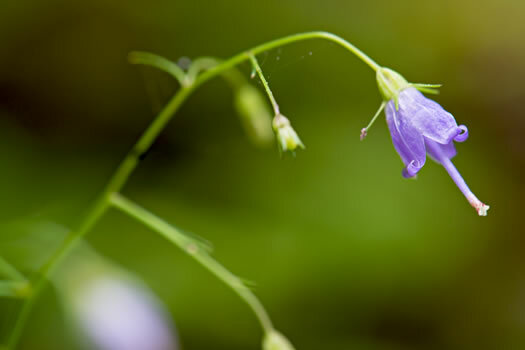 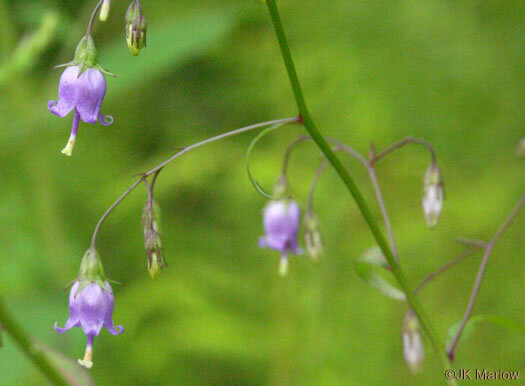 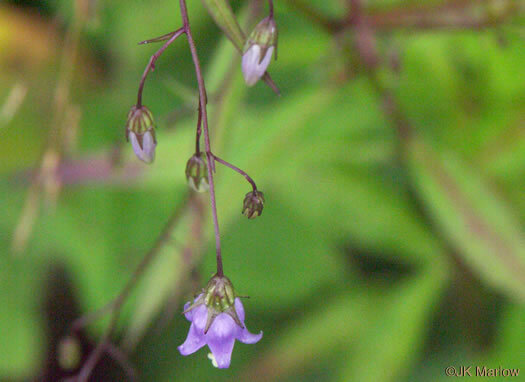 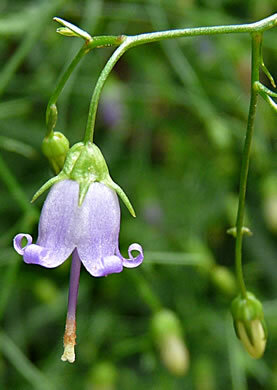 Flowers pale blue, bell-shaped, lobe tips curled back, style protruding, per Wildflowers of Tennessee, the Ohio Valley, and the Southern Appalachians.